Driving through the many neighbourhoods in Calgary can prove to anyone that there are many different types of condos for sale in Calgary available to choose from. Condominiums in Calgary are by far the most popular choices due to their affordability, convenience, and a large number of choices that are available. There are condos for sale throughout the city for all budgets, making it easy for everyone from first-time buyers to luxury buyers to invest in their ideal style of a condominium. The landscape of condos for sale in Calgary had drastically changed over the years. At the peak of the real estate boom in Calgary, condo developers had built an abundance of condominium projects in downtown Calgary and all over the city. Unfortunately, a shift in the economy had caused Calgary's condo market to be oversaturated for the next five years until about 2012. Starting in 2012 and 2013 the demand for downtown Calgary condominiums had gone up again, and inventory for condos for sale in Calgary had also decreased significantly resulting in an inevitable increase in prices. 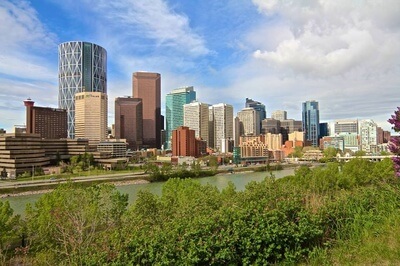 Real estate in Calgary has seen increased growth in the past five years. The downtown area, in particular, is one of the districts that has experienced skyrocketing numbers of condominiums. The reasonable prices of these properties offer buyers a chance to live in the inner city without blowing their budgets on single-family homes. Once there they can enjoy the convenience of little maintenance and be in proximity to restaurants, stores, and entertainment. When it comes to finding condos for sale in Calgary, a condominium real estate agent will be an essential resource. Their experience with buying and selling condos will ensure the buyer is given the guidance they need to purchase their ideal home successfully. In addition to this, a real estate agent’s access to listings will mean having more options available to choose from. Whether a buyer would like a condo that’s just in development or one that’s in a high-demand area, a REALTOR will be able to help. Although condos are mainly sought-after due to their affordable pricing, there are many luxury condos available for sale as well. More of these have been built in the recent years due to a large number of luxury condo buyers who want the amenities and convenience that single-family homes just don’t offer. It’s common to see properties valued at over $1 million, although there have been some record-breaking sales that reach more than double this. One example of this is a penthouse located in Mission that recently sold for over $9 million. There’s never been a better time to buy a luxury condo in Calgary than right now, especially with the new developments that are currently underway. 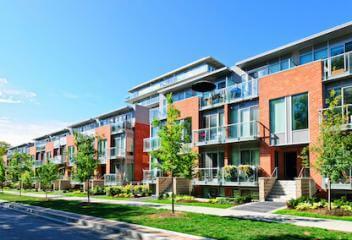 Traditional condos are not to be forgotten, as they make up the majority of sales for these types of properties. With such high demand, they can be great investments for all kinds of buyers. The amenities that they offer to make them all the more attractive, and can include: indoor swimming pools, gardens, party centres, community centres, theatres, gyms, and much more. Some condos even have dedicated concierges that enhance everyday life for those who live in the building. In Calgary specifically, there are many distinctive neighbourhoods that are home to a vast number of condos. Eau Claire is an example of one that provides condo-dwellers with river views, while the East Village offers a fun urban vibe. Many more condo listings can be found within walking distance to the downtown area, making it easy for buyers to live and work without driving. These types of neighbourhoods have personality, charm, and convenience that is only enhanced by a large number of condo developments that are situated within them. For buyers who are looking for different types of Calgary condos, converted lofts may be a great option. These have a modern vibe with unique layouts that aren’t seen just anywhere. There are also condos that are located in the tallest buildings of the city, offering sweeping views of the beautiful surroundings. Riverfront condos are other types of properties that have risen in popularity due to the convenience and views they offer. In fact, the waterfront is one of the most desirable areas to live due to the luxurious amenities and access to everything from restaurants to entertainment. Each of these different condos in Calgary is great investments that have a high potential for those that purchase them. This is why these types of properties are in such high-demand, as investors have peace of mind knowing they’re buying condos that are sure to be worth more in the future. With more condos and nearby restaurants, hotels, and retail shops going up all the time, the demand will only increase in the coming years. Although when most people say the word “condominium” they are talking about a type of construction, the official word that actually means a type of legal ownership. This is why the word “condo” is often used when referring to low-rise residential complexes, row houses, and many other buildings. It’s equally important for buyers to understand that condominiums have two separate parts. The “unit” is the private area that the purchaser owns. The second part is the common area, which can include: lobby, garden, outdoor areas, recreational facilities, elevators, and even structural elements. Condominiums can be part of high-rise buildings, low-rise buildings, row houses, duplexes, and even triplexes. They can also be included in mixed-use facilities that are part residential/ part commercial buildings. Each of these unique buildings offers their sizes of condos as well as various features. It’s easy to see that with so many different options, price points are never going to be the same. This is why condos are such fantastic options for every budget, as they can be found at all price points. There are many reasons why individuals and families choose to live in condos. Affordability is one of the most common, although easy maintenance, security, and increased privacy are all advantages as well. In addition to this, condos offer ownership whereas apartments are typically rented. This gives the owner the chance to personalize the boundaries of their space without having to worry about a lease like apartment-dwellers would. However, the shared spaces mentioned above is owned by the condo board and cannot be changed. It’s typical for condos in Calgary to have multiple units where each is individually owned, and the association jointly owns the common areas. However, in Calgary, condos can also consist of single-family dwellings that don’t require any exterior maintenance, such as with the yard. These may not be as common, but they are out there for individuals who would like a little bit more space and privacy without all the maintenance that’s required in a traditional single-family house. Condo owners in Calgary will find that they are given a separate set of bylaws that establish the rules and their responsibilities. In addition to this, the condo bylaws will state the association’s role and how the voting process works during condo association meetings. Buyers will also find information about the individuals that make up the condo board, such as the officers and the board of directions. Owners can use this information to determine what their obligations for maintenance, assessments, and common areas are. It’s important for owners to become familiar with the rules and regulations that have been established by the board. This will include information about pet restrictions, design choices, colour choices, maintenance fees, indoor noise control, and more. It will also contain information about whether or not owners can rent out their property. Working with a real estate agent can help during this process, as they will clearly explain the bylaws and regulations before paperwork is signed, ensuring the buyer understands what they agree to with the purchase. One of the easiest ways to find condo buildings in Calgary is by doing a quick search online. With this, buyers have full control of the way that they search. They can look by area, prices, amenities, and many other features. In addition to this, they can view pictures, look at floor plans, research communities, and gain a lot more information without ever having to leave home. There are many sides to buying a condo in Calgary these days. The attention to detail needs to be carefully looked at as owning a condominium comes with more responsibility than one may think. An essential step of the condo purchase process should be the necessity of reviewing the condo documents by an expert who is specialized in doing this. A condo document review may reveal important facts about a building that could result in unexpected condo fee hikes or special assessment. This is just one important part of purchasing a condo. There are many other hidden pitfalls that one can easily fall into and cost them thousands of dollars down the road. When you are searching for Calgary Lofts, be sure to set up your search criteria correctly configured to give you results only for lofts in Calgary rather than condominiums in Calgary. REALTORS® in Calgary typically describe condos as lofts that have a large living room and a large open style concept with one big airspace that combines both the bedroom and the living space below it. In downtown Calgary, many lofts and condominiums were rebuilt from historic buildings. You'll find that most buildings will welcome you with a rustic, classical feel as walk into the main hall. Some of the buildings used to be commercial spaces such as an establishment to sort out wheat. The exposed beams in these old buildings give a real characteristic feeling for loft homeowners. If you need a hand with trying to pinpoint the perfect loft or condo in Calgary, let us know. We have access to all condos in downtown Calgary. Downtown Calgary condos such as the Beltline, Eau Claire and East Village are quickly emerging as developers have taken over the ground to build high rise and luxurious condominium buildings. Many of the downtown Calgary condos are being pre-sold before construction.